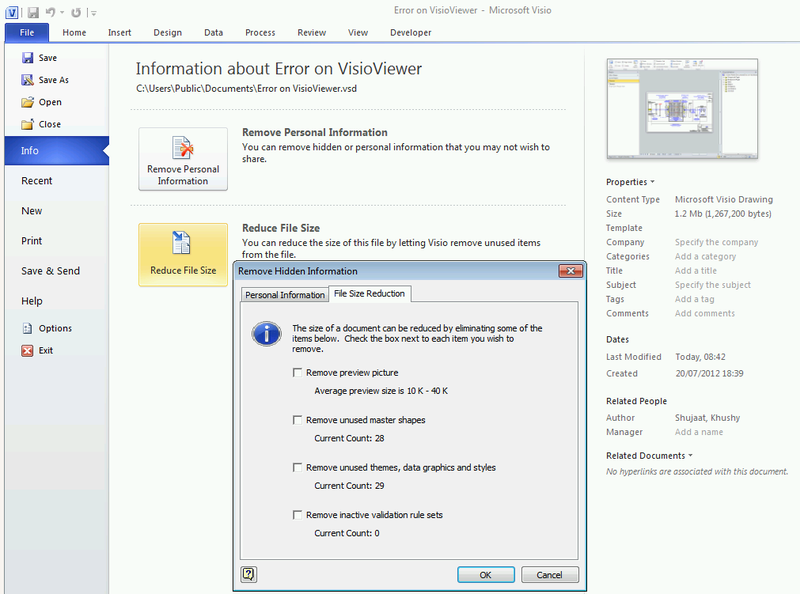 A Visio user recently showed me a Visio 2010 document that could not be viewed with the Microsoft Visio Viewer. 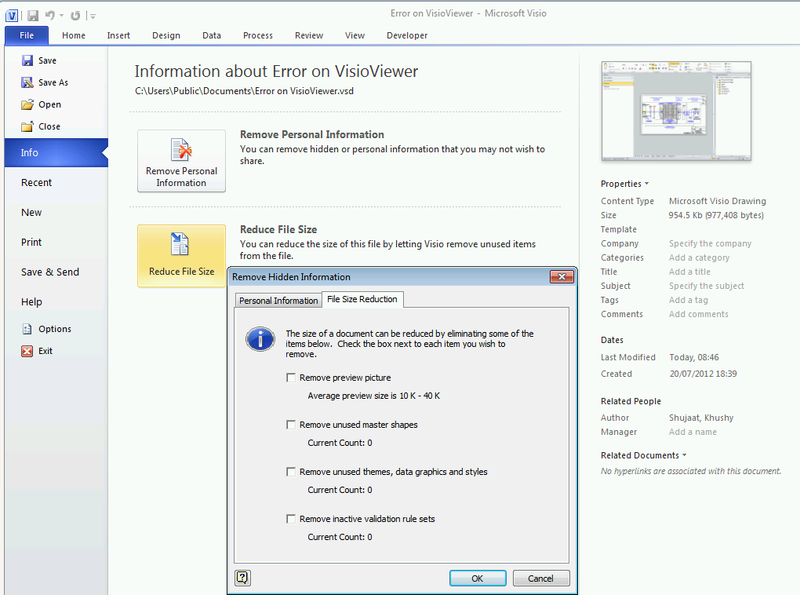 He could open it in Visio okay, but not in the viewer. Well I tried just removing the unused masters and styles, etc (of which there were quite a few), but that did not allow it to be viewed either. Then I tried the document.Clean() method, and, hey presto, the document could then be viewed. Unfortunately, the Clean() method is not available in the UI, so I have created a macro to make it more accessible. 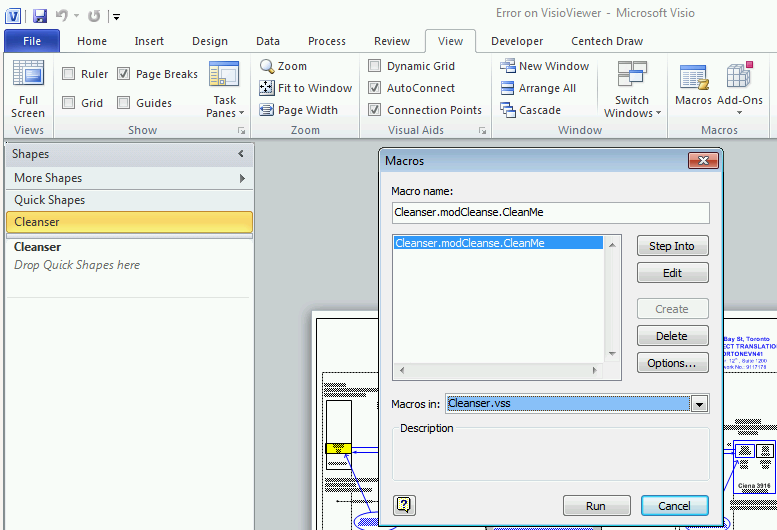 I have created a stencil, Cleaner.vss, that contains one macro called CleanMe, which can be downloaded from the link below, and placed into My Shapes folder before opening in Visio. Const title As String = "bVisual Cleanser"
Of course, the document must be saved in order to see the file size reduction….